A two-component, pourable polyester finishing putty developed with premium quality European resins for exceptional stain resistance, adhesion and sandability. 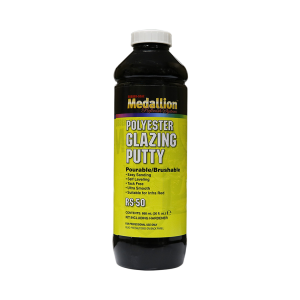 This pourable putty is extra smooth and has great vertical hang. Has excellent adhesion to bare steel, aluminum, galvanized steel, fiberglass and SMC. It is tack-free and featheredges perfectly making repairs undetectable.